Cleaning takes up a lot of time in your everyday life, especially if you have a large family. If you own a business, it is nearly impossible to take care of the cleaning yourself while trying to run your company. Or perhaps you have a regular cleaning crew who takes care of your needs but is unable to take care of a special need, such as cleaning before or after an event. Whatever your needs may be, our Manassas cleaning crew at Elite Cleaning Services, LLC can help. Do you need professional assistance to clean your home or business? Whether you have family coming into town or it's time for spring cleaning, our one-time cleaning service is extremely thorough. 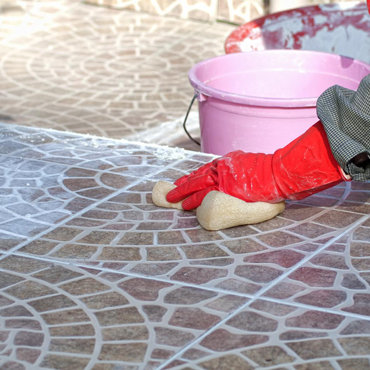 You can count on us to give your property the deep cleaning it needs. Kitchen cleaning: Sanitizing counters, sweeping floors, cleaning stove and appliances. Bathroom cleaning: Sanitizing counters and toilets, scrubbing tubs and showers, cleaning floors, wiping down mirrors. Dusting: Blinds, windowsills, baseboards, crown molding. Our Manassas cleaning team offers one-time cleaning and maid services for businesses and homes of all sizes. If you have special services which you would like to be addressed, we will ensure our staff is aware of them ahead of time. You can count on us to show up on-time whenever you need us, including on holidays, special events, or after a long week after which you were simply unable to clean. Using safe products and state-of-the-art equipment, we are dedicated to providing you with superior quality workmanship. We are prepared to eliminate stress by taking care of your unique cleaning needs.